Oct. 10th, “The Word Made Flesh” a presentation at the San Francisco Jung Institute Conference on The Living Symbol. Reserve for this event at San Francisco Jung Institute"Symbols act as transformers"
Living symbols are messages from the depths of our being to our conscious "I", messages that reveal mysterious things about ourselves and our lives. Psychotherapists across traditions have found that symbolic images open the way to the creative possibilities of the unconscious. 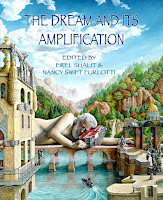 We discover these images through free association, dreams, fantasies, creative productions, and within the relational field between analyst and analysand. They evoke fascination, awe, fear, joy, upset, disorientation, but are inevitably transformative when we approach them with respect and attend to them in a contemplative way. In this conference five Jungian analysts with different approaches will speak to their experience of living, transforming symbols in their lives and clinical work. What does the living symbol look like in clinical practice and in life? How does the symbol enter our psyche, and what does it do once it becomes known? What are the spiritual implications of symbols? Through lectures that include theory, art, poetry, and clinical material, the speakers will offer their unique perspectives on the ways symbols guide processes of growth in and out of the consulting room. Our medium, in analysis, is language: the spoken word. Like poets we seek the "primordial word." We are engaged in the Promethean art of bringing life, fire, libido back to our analysand's word: so the word is made flesh; the symbol comes to life; the God is renewed. When a person stumbles into analysis, she is typically split off from the surge of her libido, cut off from the meaning of her words, severed from her authenticity and from her Gods. She is incarcerated in taboos and constrictions that block her feeling, steal her breath, smother her fire. If the analysis goes well she will find her way back, through the circumambulations and meanderings of the analytic conversation, to her own primordial word. She and her analyst will create a private language, a personal Tarot deck of living symbols, born of their shared wanderings in her internal landscape: her Gods and demons, dreams, memories, wounds, and longings. This is the stuff of her soul. Together they come to know what moves her, what excites her, how her words become flesh. Perhaps she will find a creative form in which to manifest the power of her personal symbols. I propose to tell the story of such an analysis, the one I know best – my own – and to reflect on how language and poetry expresses the living symbol: the word made flesh. A series of poems about my analytic experience will structure the talk. 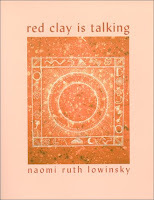 Naomi Ruth Lowinsky, PhD, is an analyst member of the C. G. Jung Institute of San Francisco and a widely published poet. Her book on creativity, The Sister from Below: When the Muse Gets Her Way, has just been published by Fisher King Press. 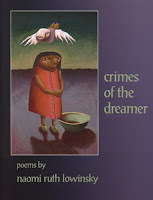 She has published a collection of poems about the analytic experience, crimes of the dreamer. 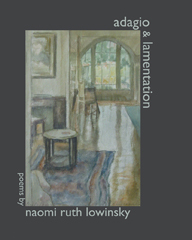 She is the poetry editor of Psychological Perspectives, teaches writing classes in many settings, and is in private practice in Berkeley. Once a month writing group at the SF Jung Institute. Poetry of the natural world is a deep river in American literature. From Walt Whitman to Mary Oliver, American poets have heard the spirit of the earth and its creatures, have spoken for forest and mountain lake, gray whale and marsh hawk. threatened habitat and lost wetlands. Theirs is the prophetic function of giving voice to our fear and our grief. Theirs is the shamanic function of re-imagining our place in nature. This coming year in the Deep River Writing Circle we will track our own relationship to the natural world. We will read Whitman, Oliver, Gary Snyder, W.S. 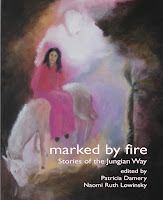 Merwin, Patiann Rogers and others, and write under their influence. The Deep River writing circle is a place to find your own voice, to develop your writing practice, to participate in a small community of writers, to study great poems, to make your own connection to the deep river of nature writing. New members welcome, space allowing. Our first meeting will be on Saturday, October 17th from 1-5 in the Institute Library. After that we will meet on second Saturdays, November 2009 through May 2010. Limited to 12 participants.